@MichaelS: Tough luck. I had a good save in Scotland with BSC Glasgow in FM17. The competition setup with relegation playoffs for tenth-placed makes the start of the challenge a little easier, since you can actually finish bottom of the table and still avoid relegation. But it is a long, tough run getting out of the bottom, and finances are bad in the scottish lower leagues. Moreover, being a single-tactic, plug-and-play guy myself, I have had decent luck with one strikerless 4-3-3-tactic with two Shadow Striker and a center Engache (?) paired with a 4-1-4-1 basic, structured tactic for difficult matches or bad runs. The 2nd division in Denmark is brutal. You only have 14 games to secure a spot in the promotion stage. So if you don't find your ground quick, its all uphill. The tactic sound confusing but I think I need to read up on 4-3-3 again since I've heard about it on several occasions. I haven't tried the strikerless one though. You can find more inspiration for instance, here: https://strikerless.com/2017/11/09/an-inspiration-dazzas-strikerless/. some quick questions. do you employ scouts. i heard that they can improve your youth intake by having a greater world knowledge and a variety of nationalities at your club. it's says July 19th as German reset date on the first post. I'm assuming it means 19th June? Competitions: Disappointing season. We were predicted second bottom this time round, and the board wanted us to fight bravely against relegation again. We started the season with 4 wins on the bounce and it gave me some hope, before 5 without a win and then poor form for the rest of the season. In the end we finished 14th, which was only because we were able to win 4 of the last 5 to climb up the table slightly. We were able to get to the first round of the FA cup which was nice, before getting beaten by a better Yeovil side. Lost in the second round of the FA trophy. 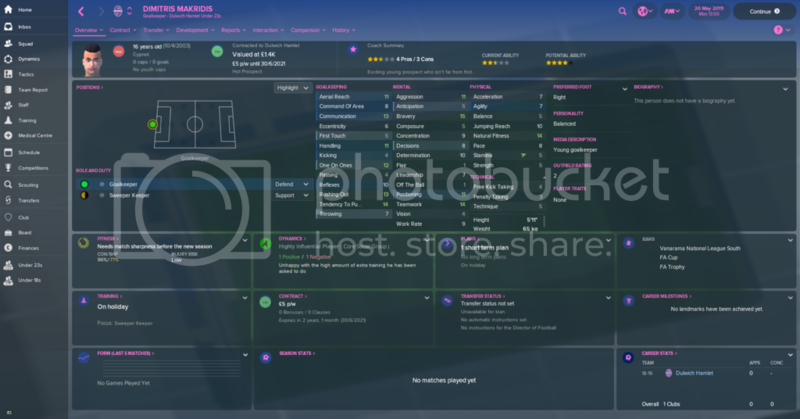 Upgrades: Managed to get the youth recruitment and junior coaching up again, and we now have a category 4 academy! 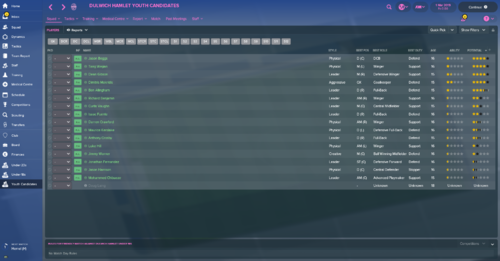 Youth intake: The one positive of the season. A very good cb, unfortunately my two best players are cbs and I normally play with just two. We also got an improved lb who slotted right in and a decent rm prospect who doesn't fit into my tactic currently. Overall: Very forgettable season, need to find a consistent tactic next season and need to fit in my cb prospect. Unfortunately it looks like my best cb will be off so he'll probably slot in for him. Next season targets: Need to push for the play offs next season, also could do with a decent keeper from the youth intake. @MikaelS unlucky, those relegation stages are horrible. Any idea where you might go next? 4th place finish, we were good this season but will take a lot to push the top 2. We then won the European Play-Off so another season in Europe awaits. 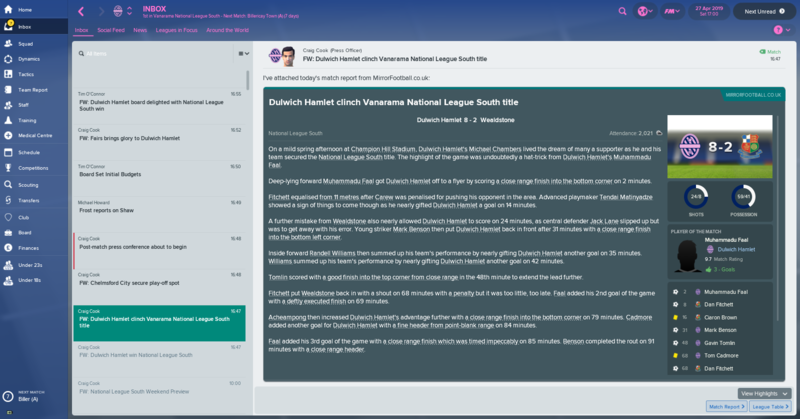 Our first season in Europe and a tough draw pitted us against Liechtenstein club FC Vaduz, I thought it was going to be hard to get past but we played superbly and deserved to go through. Beital Jerusalem were next, a much tougher tie, we went out but we didn't disgrace ourselves. Thanks to European footbal we made a good profit. Youth recruitment and facilties are being improved as we speak, hoping it will be good for future Youth players. Arran Freeman was the only standout player in this years intake. No, I'm still considering. I really want to play in Denmark, but it is only 3-4 teams that I can choose from and I really don't like the small amount of games. Perhaps Sweden or I will just go to England since that is what I know so well. To be honest, I don't know if signing a scout has any effect. I chose not to because I thought it could save me some money. As soon as I assigned a DoF and assigned him to do "other staff" signings, he brought in 2 scouts. I found it annoying since I wouldn't use them and I started to fire them but he just kept signing new ones. I could unassign that option but never got around to it. New season in Norway is 13th of January 2018. Having discovered this challenge during FM 2017, and enjoyed an unofficial attempt at it with BSC Glasgow in Scotland, it is now time to have a real go at this appealing beast of a challenge. Since I find it easier to get an overview of and attach to smaller clubs in smaller leagues with a limited amount of players and a limited wage budget, the choice of country fell on our kind and forthcoming neighbours in Norway. The choice of club fell on Lørenskog IF, a club situated in a suburb to Oslo. What greater challenge than to overcome the mighty Rosenborg and rightfully shift the power of norwegian football from Trondheim to the Capital based on homegrown talent? 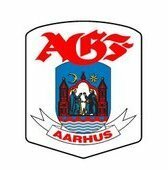 Therefore, meet the Manager of Lørenskog IF. Our best players currently seems to be Jens Rongved. On account of a well placed sponsorship, our Finances are currently quite healthy, considering the level of the club. It remains to be seen however, how quickly the daily operation of the club will tear into this surplus. Finally the predictions for the season. We are in for a big task, and just to stay up should demand great effort - and luck. PS. I would like to add this spreadsheet-like overview of progress through the seasons. Can anybody give a hint on how to achieve this? Have a question regarding youth challenge. What if your parent club wants to loan you a player? Big no? Or if you dont have any...is it allowed to have a parent club? No signings at all. But if you want a parent club for the money, that's fine. 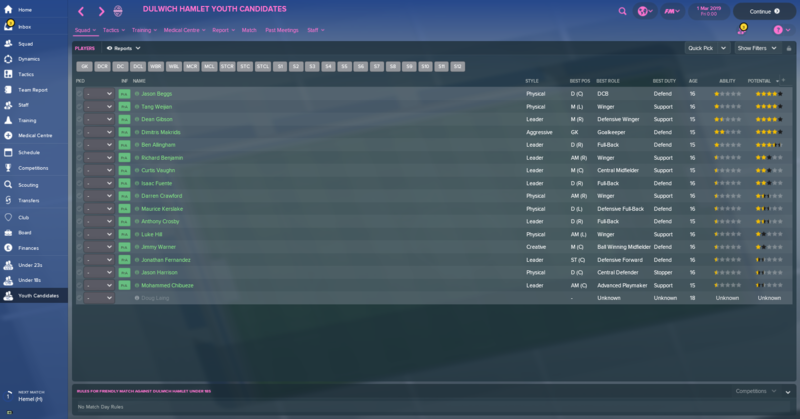 I just loaded the 25th of june to look for the promoted clubs, but when I look at the club player squads...no promoted club have youths, maybe 2 some none? So where are those youths??? Where are those youths intake...nothing is there, this makes me wonder if this is a bug or not! They won't get their intake until February time. Been lurking for a while and not being as active as my previous user (Kazpeer). I'm playing in Avarta myself after I moved to Rødovre - Probably a lower(Waaaaay lower) level than your son! You play in Avarta? Cool! But my son is only 10 years old - how old do you think I am? You memory must be better than mine since suddenly I couldn't log in anymore.. I do! But on a "closed" Serie 5 team. My guess would be 35? 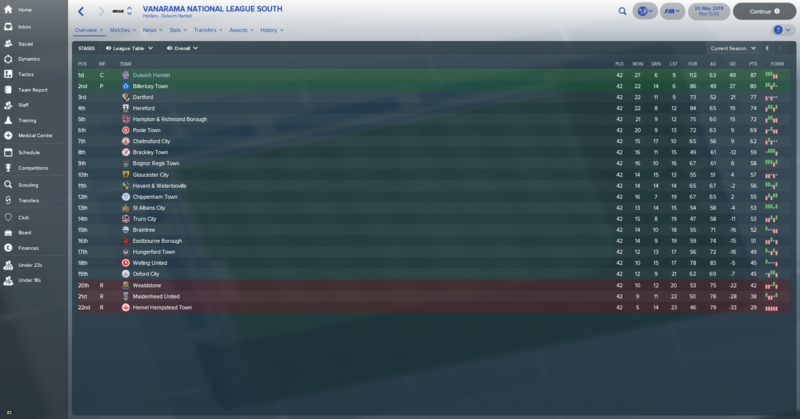 Really happy with intake - will try and integrate a couple quickly but am fighting it out with Billericay for the title so should really go all out for promotion and the money it brings. Have completed my second coaching badge and just started my third - board have increased junior coaching (Adequate) and youth recruitment (average). Despite a late season collapse I managed to regroup and beat a couple of the bottom teams to secure the title - in some style too with an 8-2 win at home to Wealdstone. 2 goals from 17 year old Mark Benson. who was in youth crop from year before and has progressed very well, and also a start for 15 year old Dean Gibson as I attempt to train him into a RWB. 33 goals and 17 assists for the 21 year old Faal, 15 pace and 15 acceleration helped. He had a number of dry spells - twice going 10 hours without scoring but seemed to score in bursts! 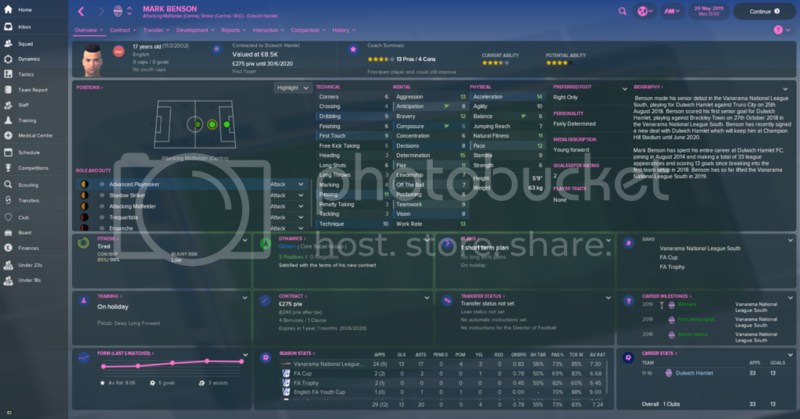 Best regen from last years bunch, worked his way into the team - Mark Benson. At the start of the season he had no rating as a striker, but is now a natural there - that may give some hope to retraining players for some especially when they are young. He is, by miles, my most improved player attribute wise this season too. Cups weren't a huge success, lost to teams in league above in both of them without making much progress. Even had I won in last qualifying round, I'd have only faced another Conference side in the first round so no big payday to miss out on. A note on Scotland. 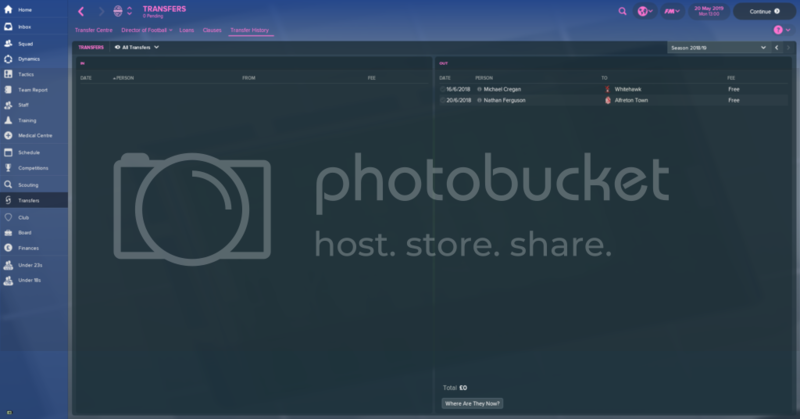 The relegation play-off fixture is decided on the 29th of April 2018, so saving on the 28th of April will allow you to load different teams. Well, I think I have found my save this year, just need to figure out a team. Embarrassing admission time, I had already picked out a team, set everything up with them during pre-season, let me AssMan handle the friendlies (all 9 of them) and then settled in for the 1st game of the season. 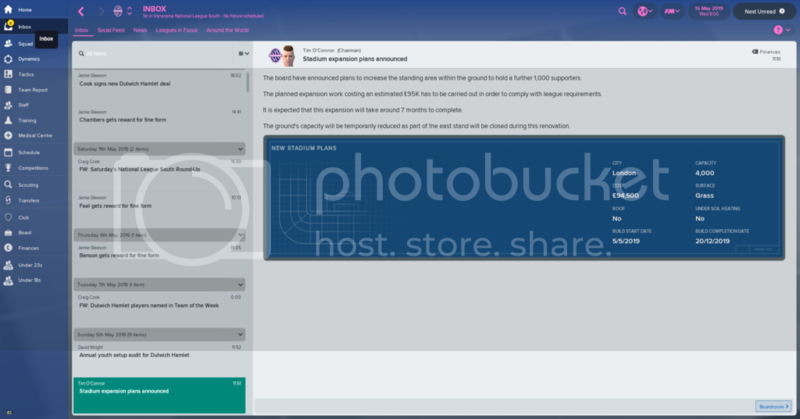 Well, it turns out our commentary text colors are not the same as those on the club overview profile...... You could barely read the text due to this, and I have binned the save There is two nights of infrequent play I will never get back! Paste in the link to the image and write some text that should contain the link. You can also write the text first, highlight it and then click on the link button. That way, the text will be there already and you just need to copy the link in. Our second season in the first league and we performed much better this time - we even managed to qualify for the play-off by being one of the best 6 teams in the league - however we were battered in that section and finished dead last in 6th, thus missing out on European qualification. Maybe next season, especially as Ukraine rose in the coefficient tables. 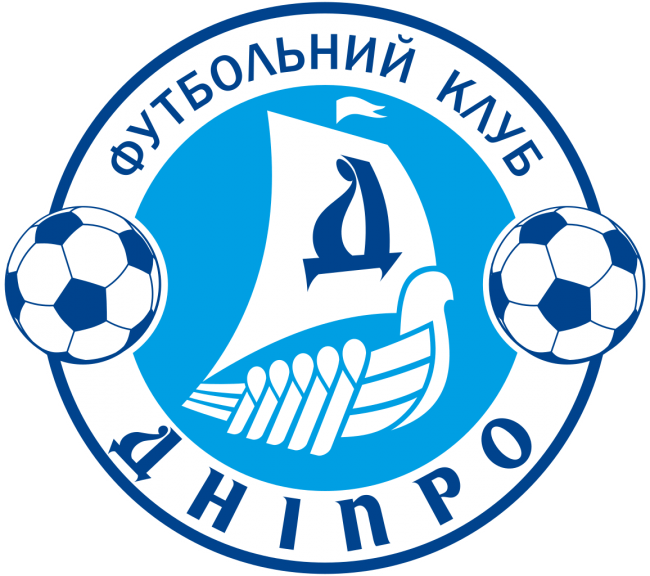 We also had a good run in the Cup, but we lost in the semi-finals against Zorya. We have used the same formation from last season, and for the first time a youth graduate had the highest average rating. Currently we have 3 youth prospects which are first team regulars, and some 3 or 4 as backups, but probably that number will increase a lot next season. Dynamo Kiev stole another player from us and is lurking around some other players also. Our transfers show just removing some dead-weight in position we had much better options in our youths. Our training facilities downgraded in the season and no sign of improvement pretty soon. On the positive side the youth development budget has increased a bit. 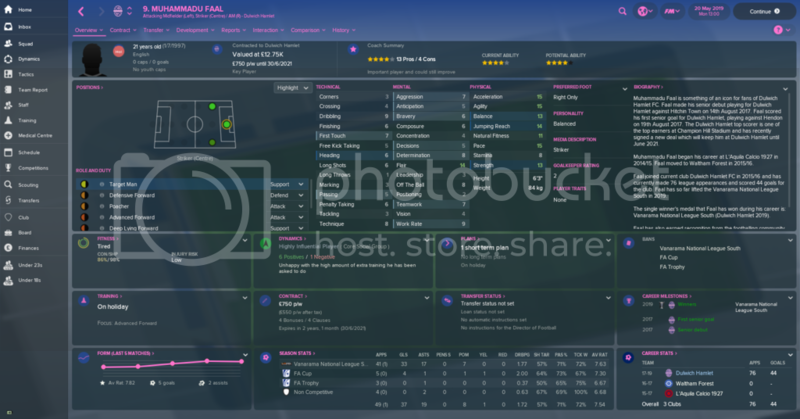 For the first time in the Youth Intake we have a player coming from our affiliate and also a first - a foreign Brazilian player (a bit strange as we don't have any staff or players of that nationality). So after quite a few reloads and change of country, I've settled on Italy for this challenge (reload date June 30th FYI) and gone with Lupa Roma FC from Tivoli, about 45 mins east of Rome. Hoping to take down the local big boys of Roma and Lazio. The squad is huge so that shouldn't be a worry (I loaded all players based in Italy as well as Serie D). The U20 and U19 teams are stock full of talent too so fingers crossed we can do enough to stay up. I'm predicted to finish 19/20 so it's going to be a long road! Another (and I think much bigger) advantage with scouts is that they can affect the personality of your squad. I like personality building, so I will employ any model pro or resolute scouts I can find when doing a youth challenge. I don't care about their judging stats. @Dan BHTFC Looks like you're making steady progress, the European finances are really useful at this stage. @fairsy congrats on the title win! Some nice looking prospects for the future too. Think you can compete at the higher end next season? @Muttley84 Where do you have to finish in the play offs to qualify for Europe? Seems you're not far off by making the play offs! @Britrock good luck, I've always found Italy really tough in the past, hopefully you can do better than me! @TheWillsy I just lost in the FA Cup 1st round but am in the play off positions as November comes to an end - main differences I've found this year is I am still scoring lots but conceding more, and I've had 6 red cards this season compared to none last year! I've just played a bit of a blinder, because I've done nearly all coaching badges now I keep getting offered jobs and declining them - decided to interview for a couple to see if I could get anything out of my board and ended up with improved training facilities, youth facilities and junior coaching.....a few weeks back they granted me professional status to kick on in the summer. If I can get promoted here I'm on a hell of a roll. Competitions: As previously stated we managed to make it into the play offs this season, with us sitting in 6th for what seemed like the whole season. So, in this new play off format we took on Blythe Spartans away from home, who were in very good form at the end of the season. We played well though, and managed to come away with a 3-2 victory. Unfortunately, we ended up getting three injuries during the game, including both of our wingers. We ended up going away to Stockport in the semi-final. We had to switch the tactic up slightly, and the worst thing that could've happened did, as we had a man sent off in the 20th minute. Safe to say he won't be here next season... We ended up getting beaten 5-2 and our promotion dreams were over. Nothing of note happened in the cups. Finances: Forgot to screenshot but they're still looking good, losing a bit more money though with our higher youth level. Upgrades: Upgraded the junior coaching and youth recruitment again at the end of the season. Plans to improve the facilities were scrapped though. Youth Intake: Another decent intake, including a very good striker and a decent looking winger. Overall: A decent season and hopefully we can push on next season. We're just one good run away from really pushing at the top. We managed to fend off bids for our best prospect from what felt like every championship club, and we received our first international call up for a player. I was also offered interviews at Northampton and Stevenage amongst others, so I must be doing something right. Last season targets: push for the play offs - made the play offs, decent keeper from the youth intake - nope. Next season targets: Want to finish in the play offs again and go from there, still need a better keeper. Why......why do I do this to myself. I have had a number of attempts in Scotland which lead to abject failure, yet I start again with hope to topple the might of Celtic with a plucky newcomer, this time I take over The Spartans. The starting squad doesn't give me much to deal with, no current youth team so stuck with the 18 man squad which includes 3 goalkeepers. League - No surprises here but I finished up at the bottom of the table. Everytime I seemed to get a bit of momentum going it falls apart a couple of games later. Still I wasn't expecting to do much here other than avoid relegation through the playoffs. I drew East Stirlingshire and after a 2-1 first leg win, a repeated scoreline secured my status in the league. In the Cups I lost all games in the league cup, got to the 2nd round in the Challenge Cup and 4th round in the Scottish Cup before losing to Killmarnock in a game I oddly did ok.
Having no youth squad to start with I wasn't sure how this was going to work. 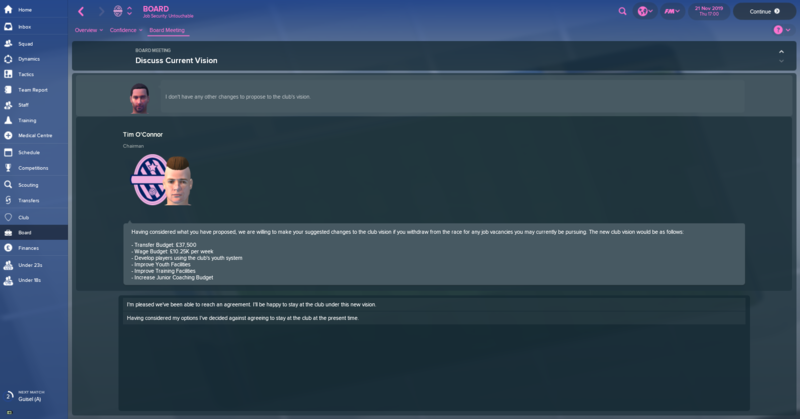 I hired a Head of Youth Development and just waited. 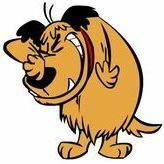 Then at the beginning of March I get a message possibly talking of a golden generation.....well lets see then. HELLO!!! Some decent players here, definitely a few getting promoted into the senior squad for next season. 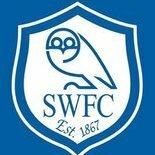 Everyone gets signed on with hope on the following 3 players. 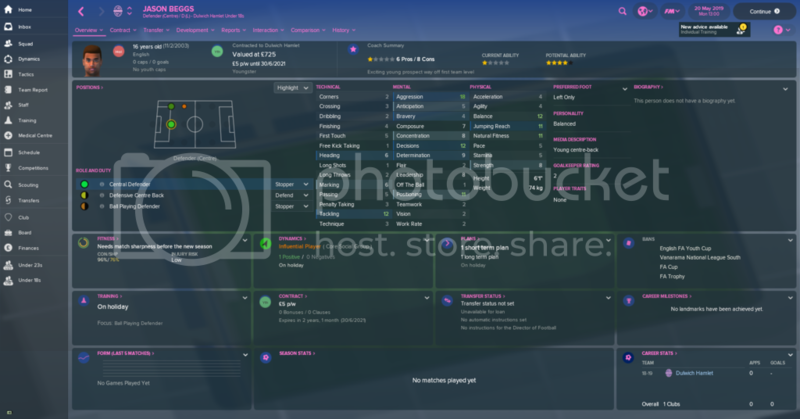 Gary Page YP01 - The top player of the intake, and well be put into the senior squad without a doubt, hoping he could provide a few goals next season. Euan McCabe YP01 - Another striker, well be used a few times, but mostly leaving in the youth team. 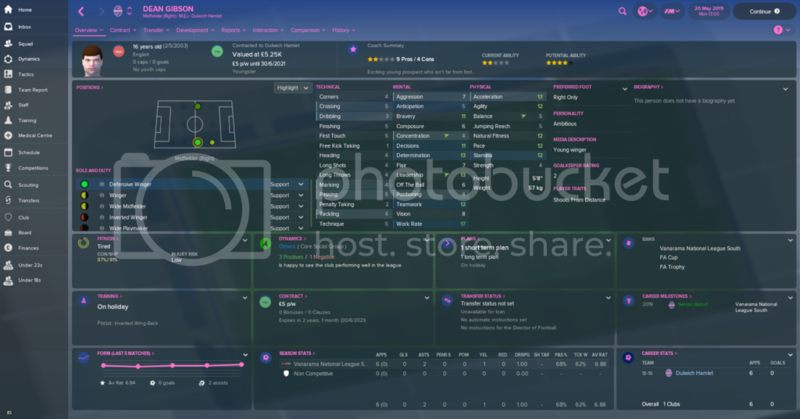 Brian Ireland YP01 - Although I'm losing 1 keeper next season, I still have 2 so I will allow Brian time to develop in the youth team before possibly giving him a few cup games the following season.